New makerspace joins Bangkok's growing maker community. December 16, 2015 | ProgressTH Want to make your own clothes? What about 3D print your own spare parts, toys, or devices? Maybe you have a project that requires precision cutting of acrylic or even wood? There is a place you can do all of these things and more for competitive prices right here in Bangkok, just a short walk from Rama 9 MRT station. Open daily 10am-7pm, PINN Creative Space is located one floor up from the ground level of The Shoppes, right behind Central Rama 9 on Ratchada Road. 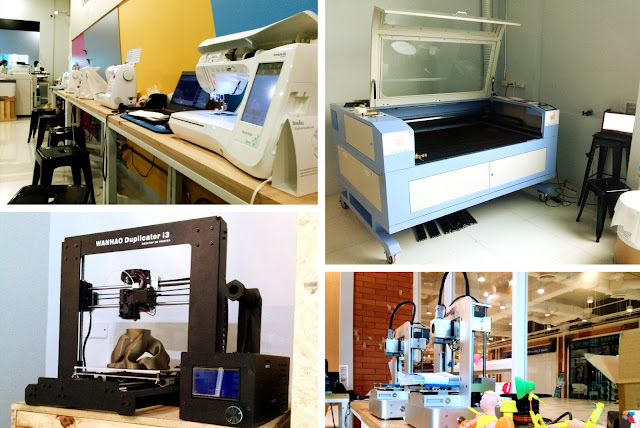 It is one of the largest makerspaces we've seen so far in Bangkok and includes rows of sewing machines (PINN is usually associated with DIY crafts, especially sewing) as well as 3D printers of every variety placed throughout the space. In the back room, there are computer-controlled large laser cutting machines perfect for acrylic and wood. In addition to their long list of walk-in services, they also provide workshops monthly, which are posted on their Facebook page. 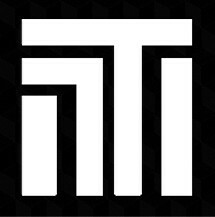 Together with Maker Zoo, Home of Maker, Fab Cafe, and others, PINN Creative Space adds services, ideas, content, and talent to an already growing maker community here in Bangkok. 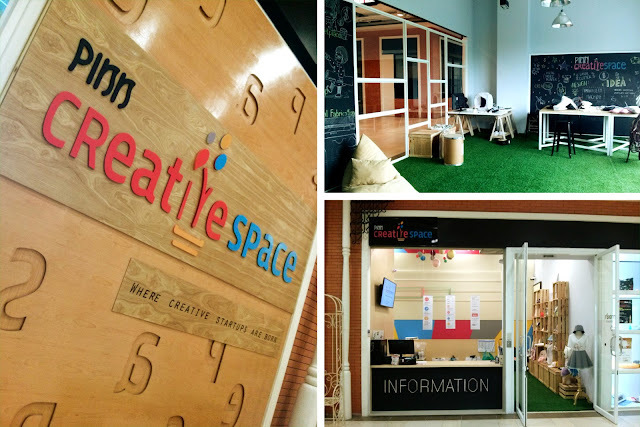 Just over a year ago, makerspaces were almost unheard of in Bangkok. There's also a new DIYbio lab starting up in Bangkok, but that's another story for another time. What a difference a year makes!